Finally a DC superhero movie that has fun while still ramming home a strong message, just a pity the villain isn’t half as interesting or wonderful as the quintessential heroine. Keep up Marvel your female heroes have a lot to live up to. There is a moment in Wonder Woman that perfectly sums up the appeal of this latest entry into the saturated market of super heroes. 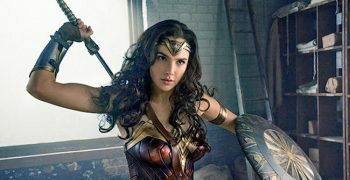 In true hero super-slo-mo Wonder Woman (Gal Gadot) rises above the parapet of a World War I trench as men on either side of no man’s land watch on in slack-jawed amazement. There is a sense of euphoria akin to Superman flying for the first time, a true cinematic moment where you realise a proper hero is born. There has of course been endless inches written about how Wonder Woman is now the highest grossing film of all time to be directed by a woman. And for that director Patty Jenkins should take huge accolades. But the reality is Wonder Woman had her cinematic birth before Jenkins’ film. Ironically said emergence was in one of the worst superhero films, or rather sins, in recent memory. 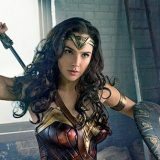 In a film titled Batman Vs. Superman it was telling that Gal Gadot’s ‘not worthy to be in the title’ character was the most interesting thing on display. Such is the poor state of the DC comic cinematic output. Because in a sea of crimson and black capes flapping in the wind and two of comic’s most iconic characters pouting at each other only Wonder Woman offered anything resembling a character you actually wanted to cheer for. Wonder Woman continues that trend with aplomb while bringing some much needed levity to the far too dark DC universe. That she is never referred to as Wonder Woman in the film itself tells you, unlike Zack Synder’s Batman Vs. Superman, this is not a film interested in just spectacle but primarily character. Charting Diana’s rise from ambitious young amazonian on the secret island of Themyscira to warrior princess the film follows in the footsteps of the first Captain America film by setting it in a bygone era. Opting for World War I means the feminist angle can be exploited to far greater effect. Chris Pine’s spy becomes the damsel in distress, or least hinted at the way he is rescued by Diana, while the assumption that Diana is his secretary only accentuates the idea in ways a modern day setting would have felt forced. The results, for the first two acts, are a resounding success. A film that lets you sit back and revel in the majesty that is a superhero film with something to say. It even does it with a constant smile thanks in no small part to Gadot’s wonderfully nuanced performance. One minute she’s the hardest thing on screen, the next an innocent fish-out-of-water, before finally emerging as not just a leader but a physical manifestation of hope. It’s something that has been sorely lacking in the DC universe since Christopher Nolan’s Dark Knight trilogy came to an end. It is therefore painfully frustrating that the final act of the film descends into generic blockbuster cliche. On the one hand overly depending on CGI would be forgivable, but the cliched ridden villain feels depressingly on the nose – woman equals a symbol of hope, man equals warmongering idiot. The point has been made long before this and in far more subtle, and therefore powerful ways. To have it hitting the nail this hard on the head is criminal but, depressingly, typical of any Hollywood film at the mercy of studio interference.